Destiny 2 Expansion II: Warmind continues your Guardian’s journey with new activities, new weapons and gear, more endgame content, and an all-new story. This expansion takes place on an all new destination, Hellas Basin, set within the frozen landscape of Mars’ pole. Players will journey across massive glaciers, and through rocky red caverns, and Hive infested caves in search of new weapons and gear, and to test themselves against new threats and challenges. Warmind features an all new Raid lair, a new Hive faction and brand-new endgame ritual, Escalation Protocol. • All-new Raid Lair: Spire of Star – The final Raid Lair for the Leviathan, this Raid Lair is one of the pinnacle activities in Warmind and offers players great reward. • All-new Endgame activity: Escalation Protocol – Escalation Protocol is a player triggered event where players will fight escalating waves of enemies and slay challenging bosses right alongside their friends. 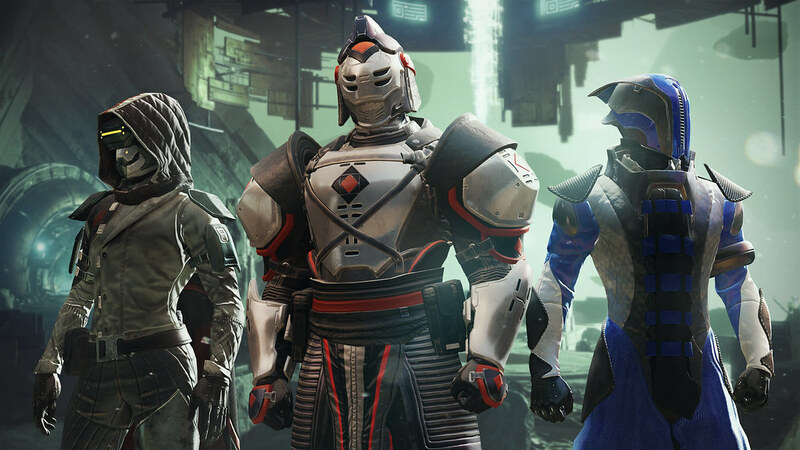 • New themed weapons, armor, and gear to earn – Destination themed armor with matching weapons, brand new and reprised exotics, and a powerful key moment relic will round out player arsenals. • Story Campaign – Delve into the story of Ana Bray, and Rasputin. Explore Hellas Basin Mars and stop the rise of the Hive army. • Strikes – Three-player cooperative matchmade missions in Destiny 2. • Raid Lair – A brand-new, six-player activity that takes place on the Leviathan. This Raid Lair offers new areas to explore, new encounters, new rewards, and a brand-new boss. At launch, PlayStation gamers will get access to an additional timed exclusive (until at least Fall 2018) Strike called The Insight Terminus. • Zavala needs a team of Guardians to break into a Vex tomb on Nessus that has been overrun by the Cabal. Defeat the powerful Psion commander before he can take over the Vex gateway network and reap the rewards.